Rationale. There has been controversy about whether the subjective, behavioral or therapeutic effects of whole plant marijuana differ from the effects of its primary active ingredient, Δ9-tetrahydrocannabinol (THC). However, few studies have directly compared the effects of marijuana and THC using matched doses administered either by the smoked or the oral form. Objective. Two studies were conducted to compare the subjective effects of pure THC to whole-plant marijuana containing an equivalent amount of THC in normal healthy volunteers. In one study the drugs were administered orally and in the other they were administered by smoking. Methods. 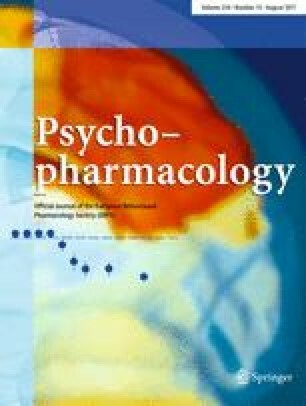 In each study, marijuana users (oral study: n=12, smoking study: n=13) participated in a double-blind, crossover design with five experimental conditions: a low and a high dose of THC-only, a low and a high dose of whole-plant marijuana, and placebo. In the oral study, the drugs were administered in brownies, in the smoking study the drugs were smoked. Dependent measures included the Addiction Research Center Inventory, the Profile of Mood States, visual analog items, vital signs, and plasma levels of THC and 11-nor-9-carboxy-THC. Results. In both studies, the active drug conditions resulted in dose-dependent increases in plasma THC levels, and the levels of THC were similar in THC-only and marijuana conditions (except that at the higher oral dose THC-only produced slightly higher levels than marijuana). In both the oral study and the smoking study, THC-only and whole plant marijuana produced similar subjective effects, with only minor differences. Conclusion. These results support the idea that the psychoactive effects of marijuana in healthy volunteers are due primarily to THC.